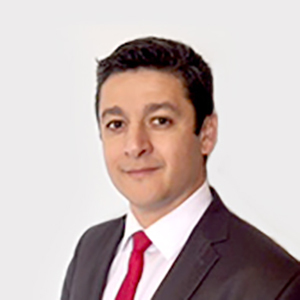 Edgar Quezada is an Associate Attorney in the San Francisco office of Mullen & Filippi. Shortly after passing the California Bar Examination in 2014, Edgar joined as an Associate Attorney at a major law firm, where he was able to gain a wealth of knowledge and experience in workers’ compensation defense. He joined the firm in September 2018 where he looks forward to expanding his knowledge while representing the interests of insured employers, carriers, and third party administrators, in all aspects of workers’ compensation claims before the Workers' Compensation Appeals Board in Northern California. Edgar received his law degree from Golden Gate University School of Law in 2013. Before law school, Edgar was a Senior Litigation Paralegal at large corporate litigation firms, where he acquired valuable litigation and negotiation skills. He attended college at U.C. Berkeley, where he obtained a Bachelor's Degree in Political Science in 2000. Edgar is a member of the State Bar of California. He is a past chair and current member of the San Francisco La Raza Lawyers Association. He is also a member of the National Hispanic Bar Association. In my professional and personal life, I have striven to give the best of myself to build memorable and lasting relationships. Although I was born in Oakland, California, I spent most of my formative years living in Guadalajara, Jalisco, in Central Mexico. Because of my ambition to grow academically and professionally, I was drawn back to my birthplace where I have managed to achieve that. In my spare time, I enjoy traveling, learning foreign languages, surfing, stand-up paddle boarding, cycling, and spending time outdoors with my family and friends. I look forward to inspiring my children to live as fulfilling lives as possible while making a positive impact on those around them.